So Hyatt and I came to a deal. I would move the test down and to the left one pixel, so it doesn't affect the border anymore, he would accept to remove the hack, and would fix one additional bug (a background-position rounding bug). May the Hack be with you. Make the Ahem font antialias correctly on Acid3. 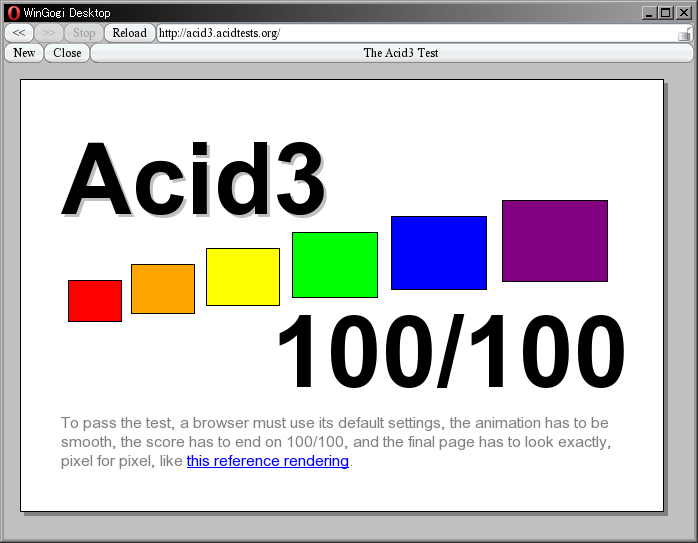 IEBlog : Why Isn't IE8 Passing Acid2?